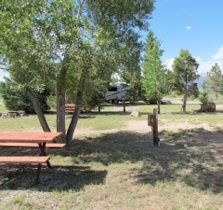 We are located in the heart of the San Luis Valley, one of the highest mountain valleys in Colorado, and are a haven for people looking for beautiful mountain views, OHV recreation, hunting, or just spending time with friends. We have been a small family run business for over 39 years, and pride ourselves on a well maintained, clean area with very reasonable rates. Over the years, we have formed great friendships with many of our visitors, many of which have been coming to camp or hunt at our area for more than a decade. 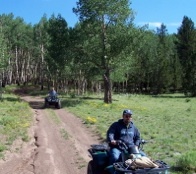 We are surrounded by BLM and NFS land and provide full OHV access right from your site. 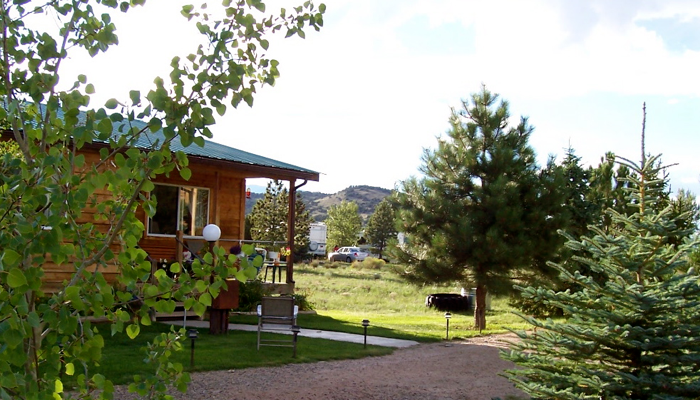 Access to thousands of acres of public land is yours without ever having to trailer. Please take a moment to explore our site and learn more about our wonderful area, and the facilities we can offer you on your next visit to our beautiful area. Call or e-mail us today for latest rate and availability information or to make a reservation: (719) 655-2444 or (719) 655-2220. You may also drop us an e-mail. Please note, we accept cash or check only, no credit cards! Open May 15th - Last hunting season!